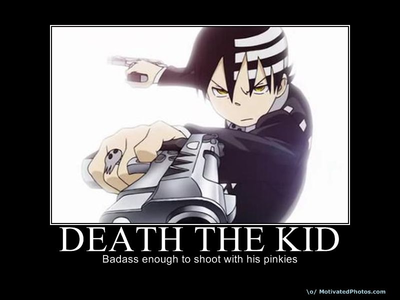 Death The Kid Do U Think Pinkies O Pointing Finger Is Better 4 A Gun? pinkies breh! that makes him look bad a$# ! Pinkies, only the most badass of badass do that successfully and no one questions, because it works, and looks awesome.